A US$296 million contract for the procurement of long-lead items for a dozen Boeing P-8A Poseidon maritime surveillance aircraft including the first four aircraft for the Royal Australian Air Force has been signed. “We are extremely excited about this contract award because it not only will continue to deliver P-8s to the US Navy but it also will deliver the initial set of P-8s to the Australian government,” Captain Scott Dillon, program manager for the Maritime Patrol & Reconnaissance Aircraft program office, stated of the contract with Boeing. Captain Dillon added that the partnership allows Australians to be embedded within the Poseidon program office, and should enable Australia to support its own aircraft as the RAAF’s AP-3C Orion maritime patrol aircraft retires. The federal government approved the acquisition of eight P-8As with options on a further four to partially replace the RAAF’s AP-3Cs back in February. Deliveries are expected to begin in 2017, with all eight aircraft fully operational by 2021. Unmanned Northrop Grumman MQ-4C Tritons are also expected to be acquired. Good to see the contracts for the P8`s underway, However as I `ve posed the question before are 8-12 P8`s really going to cover the range of contingincies the fleet of 18 P3`s currently do? @Allan, don’t forget about the Tritons coming along too. In their intended role, I imagine each Triton counts for 2 P-3s. Numbers may be down, but I think “time on station” and many other metrics will be higher. Allan, as this report says and adammudhen has pointed out, the AP-3C replacement is for a mixed fleet of P-8A Poseidons and MQ-4C Tritons. 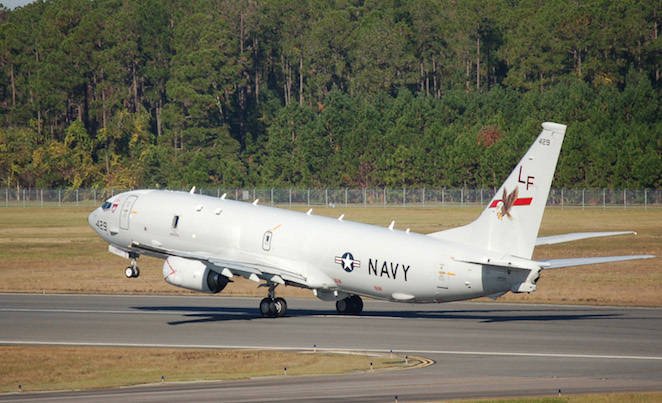 The USN is planning on a 2:1 ratio of P-8A Poseidons to MQ-4C Tritons, and it appears that the RAAF is also working towards that ratio – 12 Poseidons (incl. the 4 options) and 6 Tritons. I think it’s pretty much granted that the four P-8A options will be taken up (unless Labor gets reelected in 2016 and cuts Defence spending once again :-(). Hi Adam, I didn`t forget about the Tritons I just don`t see how they can see 360 degrees around them in a high workload situation as well as perform their primary mission. I may be accused of sensor ignorance and dismissive of technology at the expense of the mk 1 human eyeball but I will just have to wait to reserve my judgement as being just a taxpayer I don`t get to see all the you beaut whiz bang goodies the pollies and our defence chiefs get to view. I don`t mind being proven wrong, if the tech works. Hopefully I will be and the Tritons work better than expected. Don’t underestimate the Triton’s sensors. It can fly at 50K+ feet for 24+ hours, has a 360degree surface search radar, EO/IR and ESM, and can spot most surface contacts at huge distances in all but the nastiest weather. It can send sensor feed back to a permanent GCS in Edinburgh or a forward deployed GCS in situ in real-time. If the Triton spots anything of ‘interest’, it can pop down for a closer look, or a P-8 can be dispatched. The whole idea of the Triton is to take away from the manned fleet the long-endurance wide area overwater surveillance functions, so the manned P-3 and faster P-8 can be more responsive to threats.